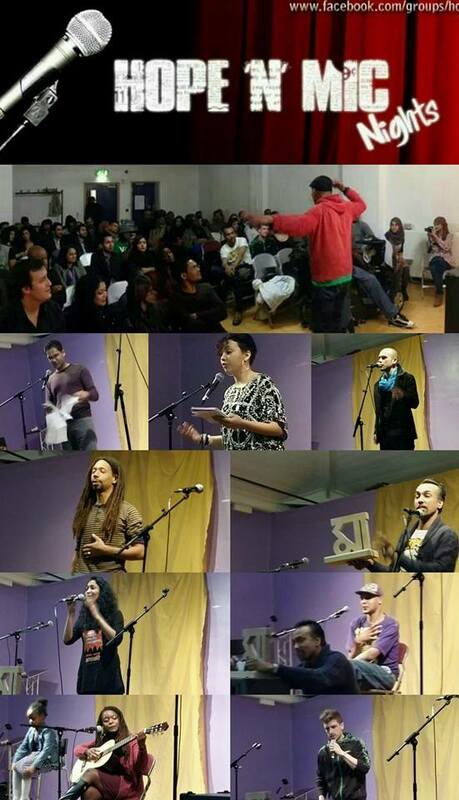 An eclectic mix of performances at Hope n Mic November 2013. Here are the stats from the evening. Charitable funds raised: £363 for the Uttaran Women’s Centre and £270 for the emergency Phiippines appeal, which makes an incredible total of £633! 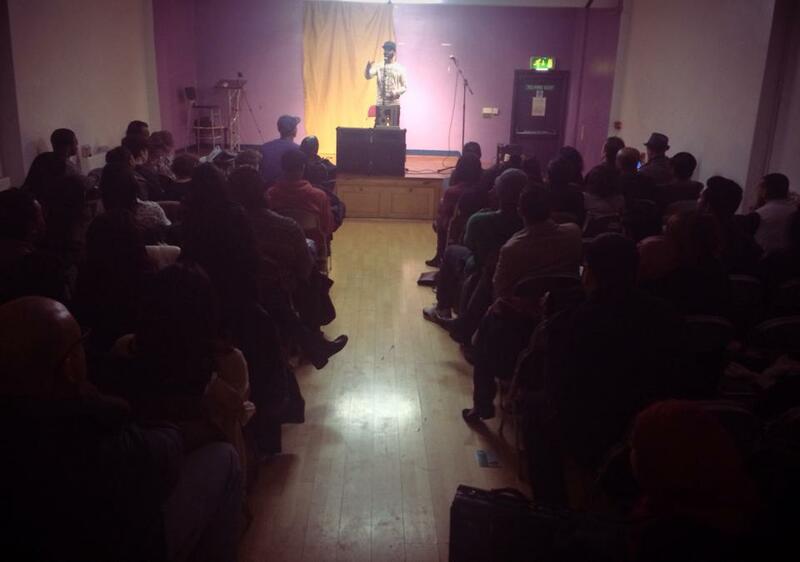 Thank you to all the attendees, especially for your attendance and your generous donations to our charitable causes, to all the performers for providing a night of delight, to all of our volunteers for making this event happen and to the Kobi Nazrul Centre for having us at your venue. Watch one of the performances from the night: EST performing “I’m Happy”. Thank you Hope N Mic for last night’s impassioned words. It was forceful, vibrant and inspiring. The money you have raised for the Birangona Women of Uttaran Mohila Sangstha – Shirajgonj will be sent to Dhaka by a member of Komola Collective in person. It was very emotional for me because I know what difference its going to make in their lives… It is £363 for us but for them it’s for someone’s medical bill, fixing cost of a tattered rooftop, much needed winter clothes, blankets. Thank you for being there for them with all your words and your heart. For me the highlight was when EST did her “im happy” poem ….it had everyone in tears and cheering the roof off afterwards. Next event will be Friday 27th December 2013 – our last one for this year.